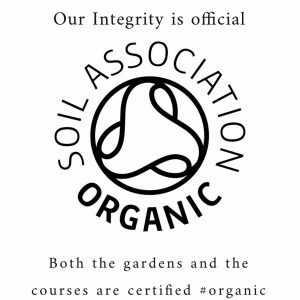 It is #sourdoughseptember and time to celebrate the harvest and baking for the year to come. One of the joys of baking sourdough bread is discovering other peoples recipes, the other is to bake them and share them. This is my top 50 collection of recipes from other sourdough bakers to inspire your sourdough baking. Some of them are favourites that I bake time and again, and are from bakers who I am connected to, others are on my baking ‘to do’ list. And don’t worry if you’re new to sourdough baking. There are recipes in the list that explain how to get your first sourdough starter going before you make that first loaf. A good recipe for beginners as well as more experienced sourdough bakers. There’s plenty of information on how to create a starter before making and baking the dough. Laura Hart has gained a reputation for baking fabulous bread in her bakery in Bristol. 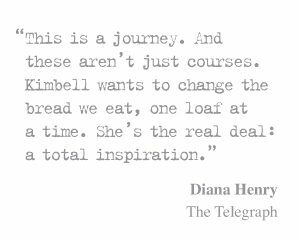 Her recipe for sourdough bread includes instructions on how to make a sourdough ‘mother’, making it a great way to either take your first steps in sourdough bread making. It’s also a great recipe to add to your repertoire if you’re a more experienced baker. This recipe explains the basics of sourdough bread making, but skips over a lot of the detail. Maybe one to try when you have a little experience. Another good one to try if you want to make your first sourdough loaf – it has instructions for making a starter before the bread recipe. Scroll down passed the yeasted recipes… the sourdough is at the end of the article, but worth finding. Here’s a recipe that’s perfect for bakers who want to fit bread making into their busy lives – once mixed, the dough can be left in the fridge for 8-24 hours before shaping and baking. 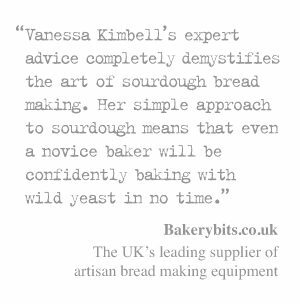 A recipe aimed at more experienced bread bakers, concise but containing lots of information. Tom Herbert’s recipe from The Fabulous Baker Brothers book. Regarded by many as one of the finest loaves of bread in the world, Tartine bakery’s country bread is the result of many years of testing and development. With this recipe you can recreate a little bit of Californian sourdough magic at home. A traditional French sourdough loaf. A recipe inspired by the Poilâne style miche. Shipton Mill produces a range of flours used in bakeries and kitchens across the country. 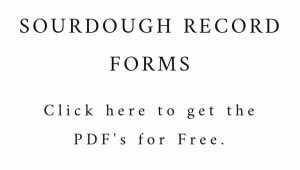 They’ve also collected some sourdough recipes together on their website. This rye loaf is rested overnight in the fridge and can be baked first thing in the morning. While many people will tell you that a truly authentic version of this sourdough loaf can only be baked in San Francisco, here’s a recipe that allows you to make at least a San Francisco style loaf without having to buy a flight. Another recipe from Hobbs House Bakery, this one uses a mix of flours and an overnight prove in the fridge. 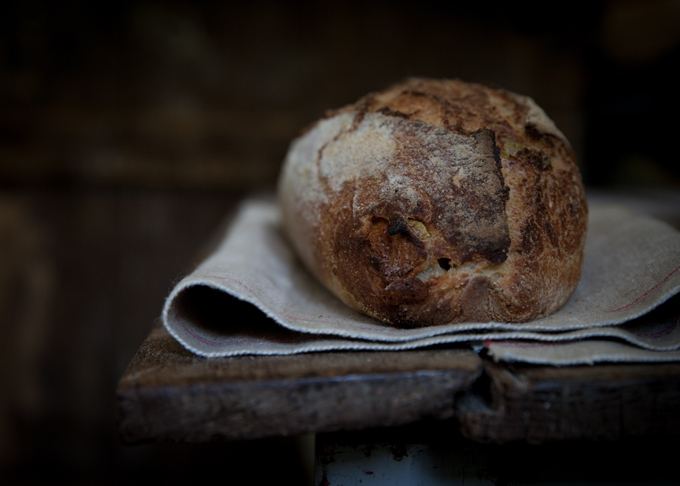 The iconic loaf from E5 bakehouse, as made by blogger The Faerietale Foodie. A rounded sourdough loaf, with a low crust to crumb ratio. Made with a mixture of white, rye and wholemeal flour. A recipe from King Arthur Flour for bakers who like a little more sourdough tang in their loaves. Small loaves that are just the right size for two to share. This recipe has a handy timetable at the end to help you plan your baking day. A mix of rye and white flours, together with a good sprinkling of seeds, all go into making this traditional Danish bread. Even experienced bread makers might hesitate when it comes to baguettes, but this recipe takes you through the whole process step-by-step. A very comprehensive introduction and great photos accompany this recipe. Carl Legge adds soaked golden linseed and chopped rye to a classic white sourdough loaf. A dough made with a mixture of white and wholemeal flours, studded with flax seeds and rolled oats. Made with a mixture of bread flour and kamut flour, and a long prove. Combining einkorn with bread flour, this is one for fans of ancient grains. Adapted from a Jeffrey Hamelman recipe, this loaf is made with a mixture of wheat and semolina flour. This recipe is based on a 50:50 mix of pumpernickel flour and wheat flour, but suggests adjusting this depending on your personal taste. Homemade pita is so different, and so much better, than shop bought. Once you’ve tried it you’ll never want to eat the supermarket version again. A white spelt loaf flavoured with dried fruit, nuts and a little cinnamon. Based on the recipe from the Bourke Street Bakery Cookbook, this loaf is full of spices and raisins. The Weekend Bakery website is home to an array of great sourdough recipes. This fruit and nut loaf is recommended for with cheese. The classic Italian rosemary bread adapted to use a sourdough starter. Olives, herbs and lemon zest flavour this naturally leavened loaf. A very wordy recipe from the Flour On My Face blog, but there are also a lot of photos and a video to illustrate the techniques used which will be useful reassurance for less experience bakers. A long, long post on The Orange Fairy blog, with plenty of photos of the fougasse… the recipe is right at the end of the post. An impressive looking loaf, full of wonderful flavours. Rich, buttery brioche made with some sourdough starter in place of yeast. Another sourdough version of the French classic. Panettone is a Christmas favourite that will taste so much better when it’s homemade. This recipe is taken from James Morton’s ‘Brilliant Bread’. An enriched dough, spread with a spiced chocolate mixture then cut and twisted to form an attractive and tasty loaf. Based on a Slovenian bread eaten at Easter and Christmas, this loaf is flavoured with walnuts, apples and honey. White sourdough buns filled with spices and dried fruit. Made over two days, these rolls are soft and full of flavour. Traditionally, bagels are made using a long fermentation. This version uses sourdough starter in place of fresh yeast. Made with loads of spices, these sourdough hot cross buns are too good to save just for Easter. Another hot cross bun recipe, this time with roasted pumpkin added to the dough for a little extra sweetness. Popular in New York, these are soft, chewy rolls topped with onion. A sourdough pizza recipe by the authors of ‘Artisan Pizza to Make Perfectly at Home’. The dough recipe is followed by ideas for toppings. This dough can be made up to three days in advance and left to rest in the fridge until it is needed. 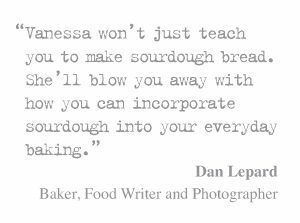 Share the post "Top 50 Sourdough Recipes"
I plan to bake my way through the list! Now there is a challenge! Vanessa and what’s your favorite own recipe? Your doughters first loafe looks fantastic!! Oh that is a hard one. I think the most delicious one I ever ate was in Tartine Bakery. It was quite simply my perfect loaf. I’m not even sure I will ever have that moment again .. but it will stay with me. That and my own multi seeded custard loaves. The recipes are heading int my next book. They are xery similar to the above, but different to. .. still sharing a loaf is alway more delicious than eating on your own! Have been looking for a sourdough ciabatta recipe. Vanessa, have you any suggestions, recommendations please? Hi Rosemary – I will be going one for the site this year. I have to get my book out of the way first .. bear with me. I think have one tucked away in my development folder somewhere, so please email me and I will send it to you.